The BAM 2201XL Hightech oblong viola case is a premium case for travelling musicians. 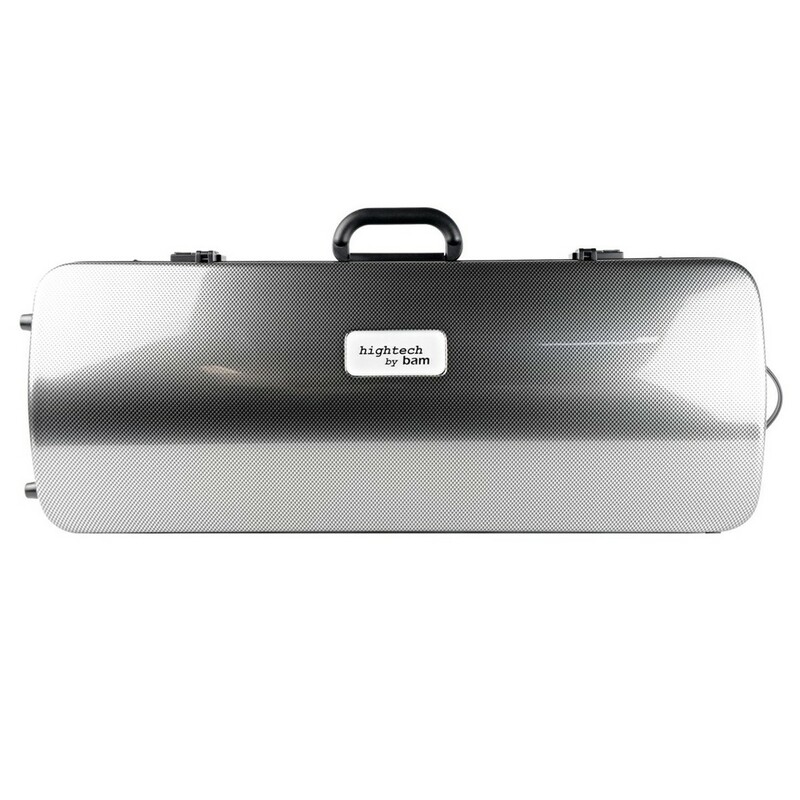 Similar to other cases by BAM, the Hightech case is made from high-end materials that offer a very stylish look while also protecting your instrument. Unlike the compact Hightech case, the 2201 is slightly bigger offering better overall protection. The backpack straps that are included with the BAM 2201 Hightech enables the case to be transported easily, while the combination latches provide security to your instrument at all times. 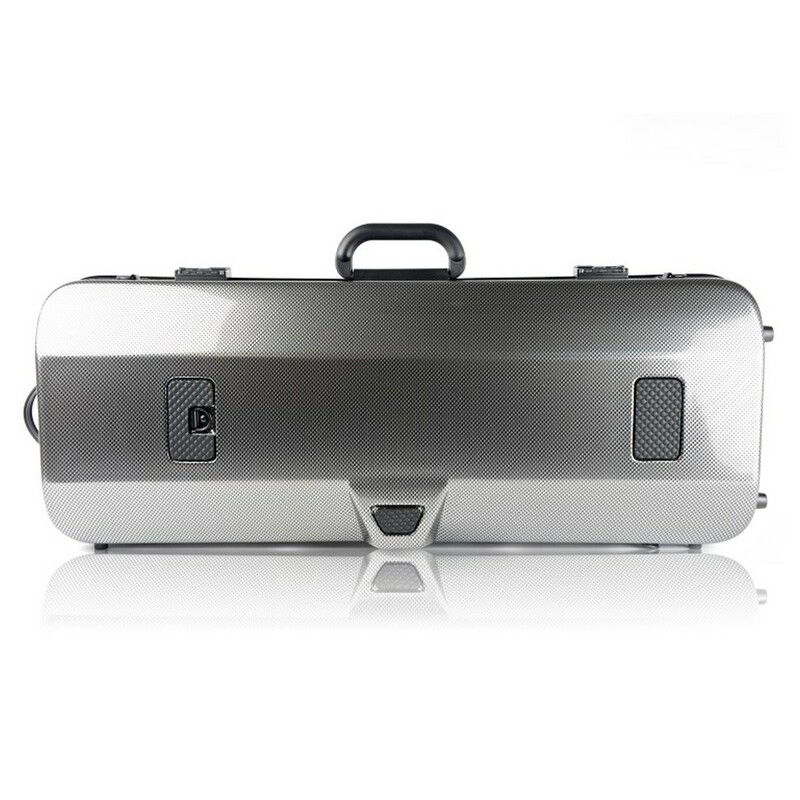 The BAM 2201 Hightech oblong viola case is finished in a silver carbon effect for a truly luxurious look. The BAM Hightech oblong viola case is a premium case that offers the best protection. The 2201 Hightech case features a silver carbon effect on both shells which provide a luxurious feel and aesthetic to the case. 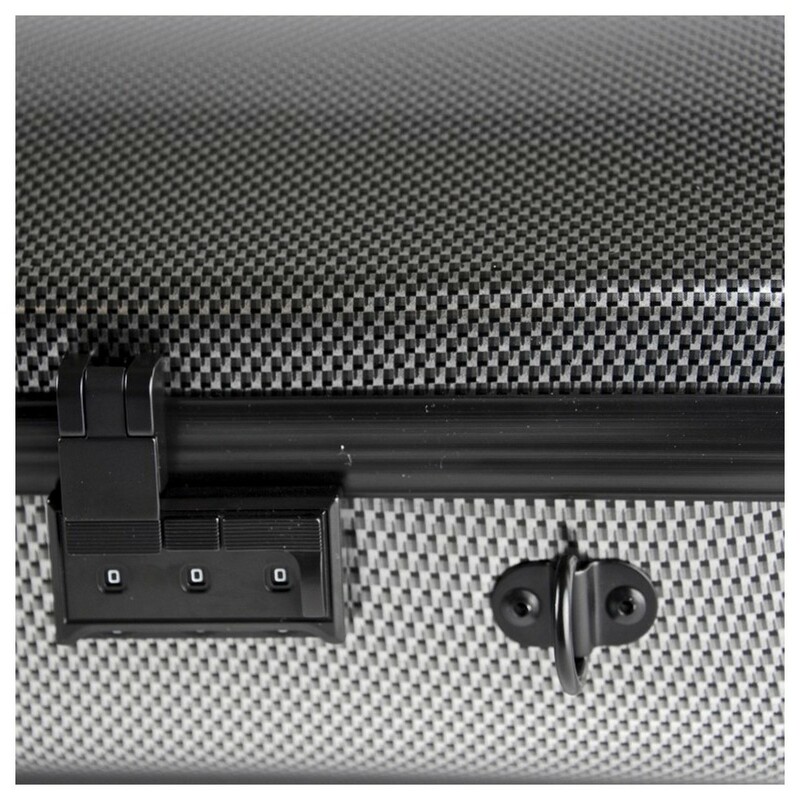 Around the back of the 2201 Hightech case are two neoprene anti-slip backpack straps with security screw hooks to transport the case to musical events easily. Similar to other premium cases from BAM, the Hightech case uses a triple-ply layering technique for the main body of the case. This process involves layering ABS, Airex foam and then another type of ABS to make a rigid, yet lightweight body. 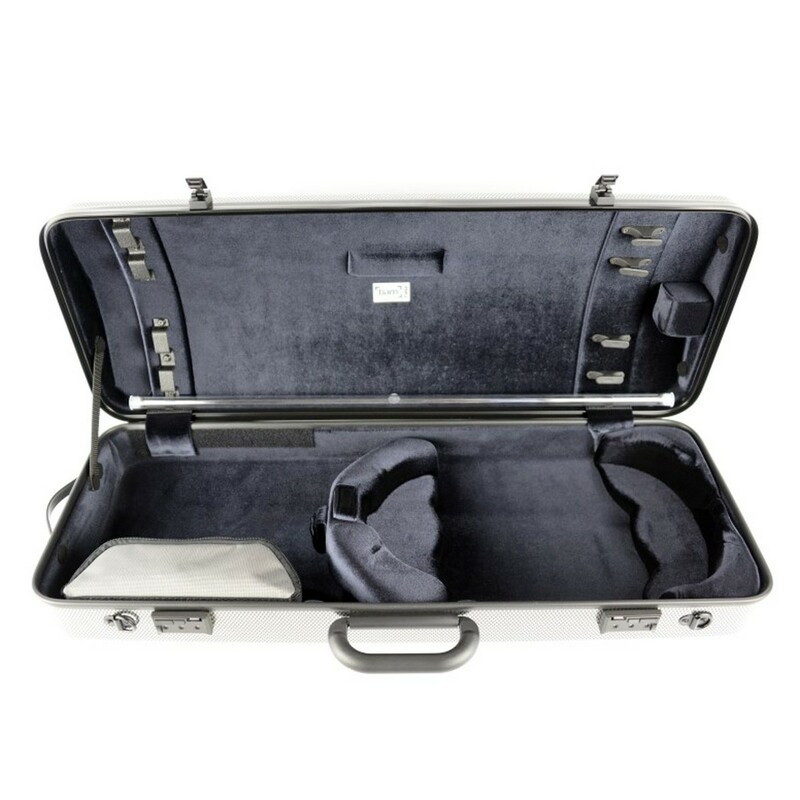 The inside of the BAM case will comfortably hold a full-sized viola, four bows, and accessories. This model is available in a range of different finishes. BAM have been making cases for more than 30 years and are seen as one of the industry leaders in case production. They combine contemporary design elements with ultralightweight materials to achieve the best protection possible for your instrument. BAM produces cases for violin, viola, cello, wind instruments, and guitars, all with different materials and colours to find your personal case.